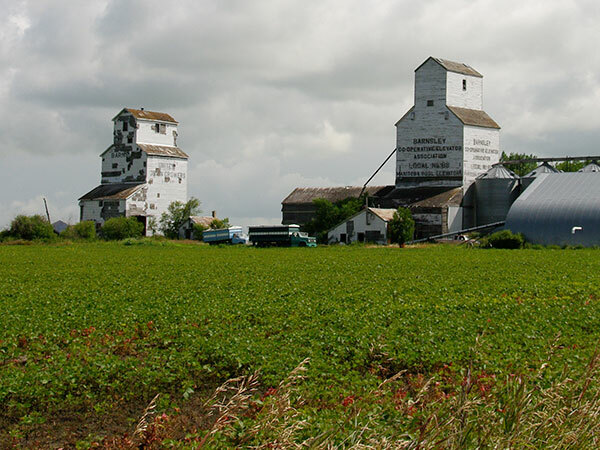 A 25,000-bushel wooden grain elevator in the former community of Barnsley, on the CPR Carman Subdivision in the Rural Municipality of Dufferin, was constructed by the provincial government sometime before 1916 as one of about forty it built between 1910 and 1923 under the auspices of its Manitoba Elevator Commission. The building was leased to United Grain Growers in 1916 and sold or traded to Manitoba Pool Elevators around 1959, joining its “A” elevator. 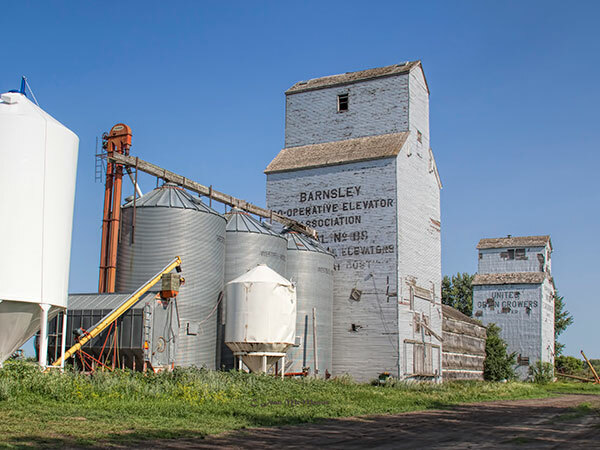 The two elevators were closed in July 1972 then they were sold to a local farmer. At the time of a 2014 site visit, the elevators did not appear to be in use. We thank Rob Tisdale for providing additional information used here.